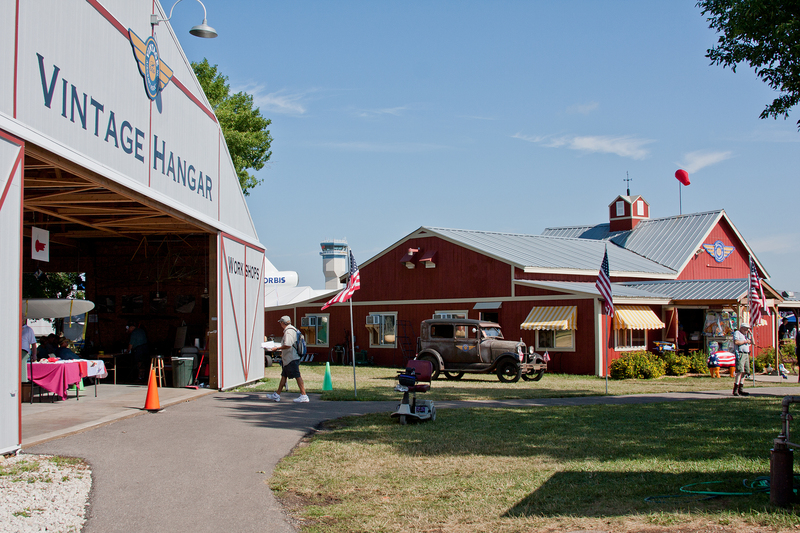 NEW for 2018: Charlie’s Park Dedication, more Red Barn enhancements. This is the new north entrance to our iconic Red Barn. 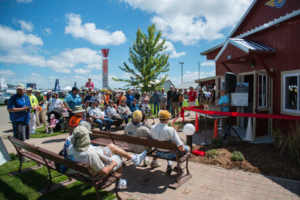 At the opening of AirVenture 2017 we re-dedicated our expanded Welcome Center and dedicated the Stadtmueller Patio to the original famiy who farmed this land for over a century. Yes, this IS our Red Barn… The 1973 Grand Champion OX-5 Eaglerock in a rustic setting at Oshkosh. 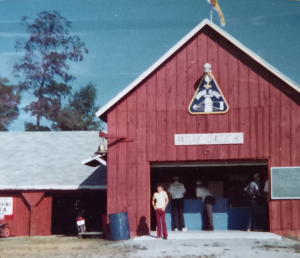 The barn in the background will be converted into a headquarters for the Antique/Classic Division in 1974. 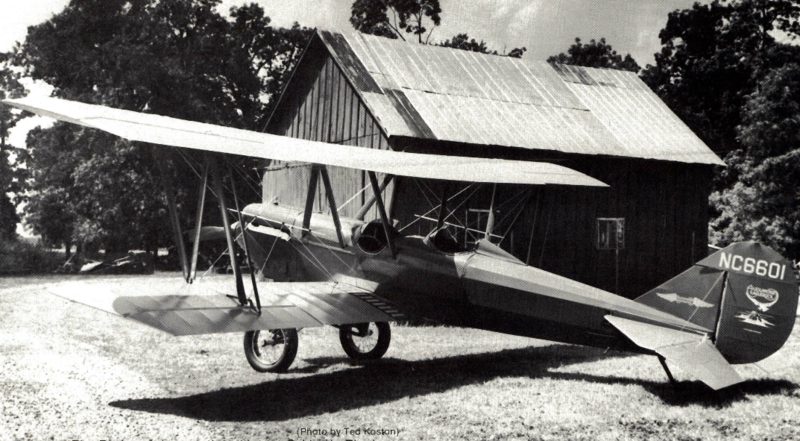 (from August 1973 Vintage Airplane, Photo by Ted Koston). 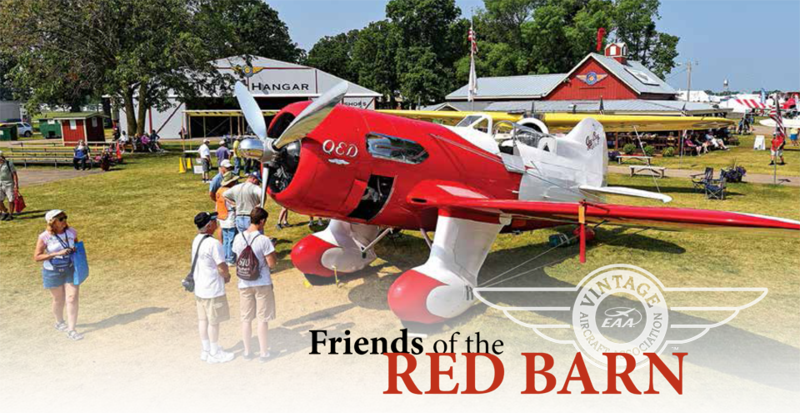 The Friends of the Red Barn has become a wonderfully successful support program for Vintage members and guests during the convention. 2017 will be its 16th year and you will be amazed to know that the majority of the Barn’s loyal supporters have been a part of the support group since the very first year. Vintage is extremely proud of this dedicated group of members. Their names are listed annually at the Barn and in the pages of Vintage Airplane. 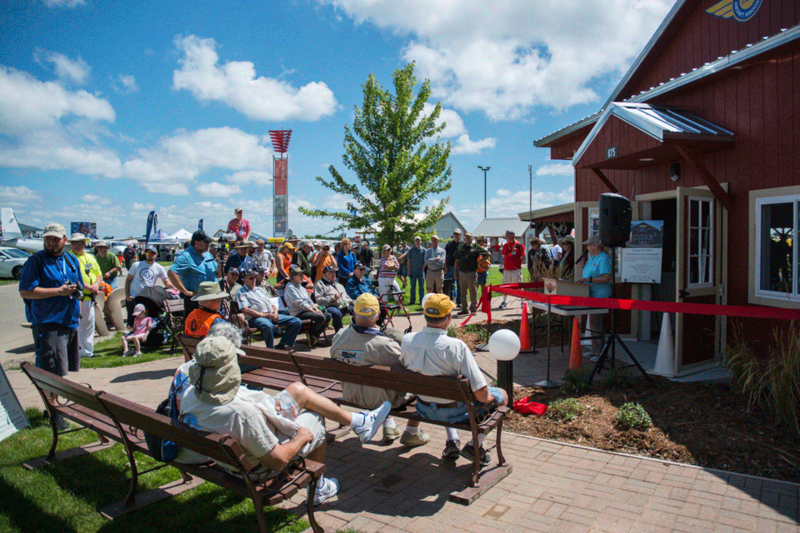 These donors have made the Red Barn and its gracious hospitality what you enjoy today … and we are just beginning. Our Red Barn is roughly a century old. We have “annualed” it every year with countless physical and cosmetic upgrades, but like many of us, one of these days soon the old girl is going to have to undergo big time reconstruction. That day has come and the Friends of the Red Barn are doing our part. 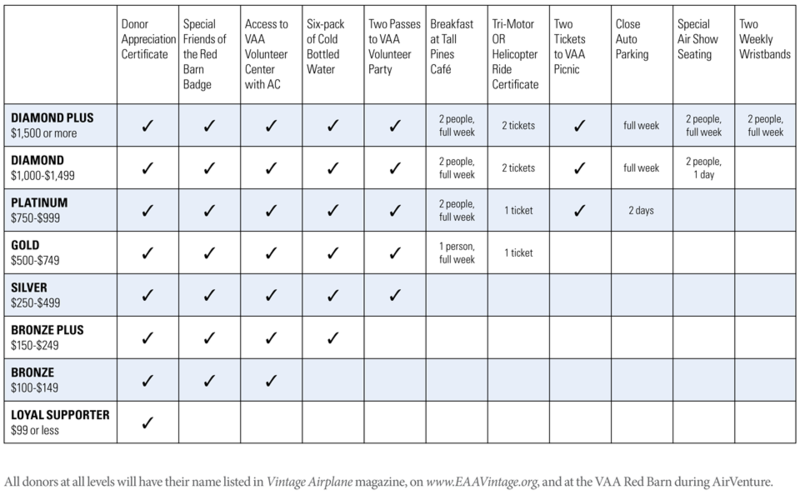 The Vintage Aircraft Association is a non-profit educational organization under IRS 501©(3) rules. Under Federal Law, the deduction from Federal Income tax for charitable contributions is limited to the amount by which any money (and the value of any property other than money) contributed exceeds the value of the goods or services provided in exchange for the contribution. An appropriate receipt acknowledging your gift will be sent to you for IRS gift reporting reasons.